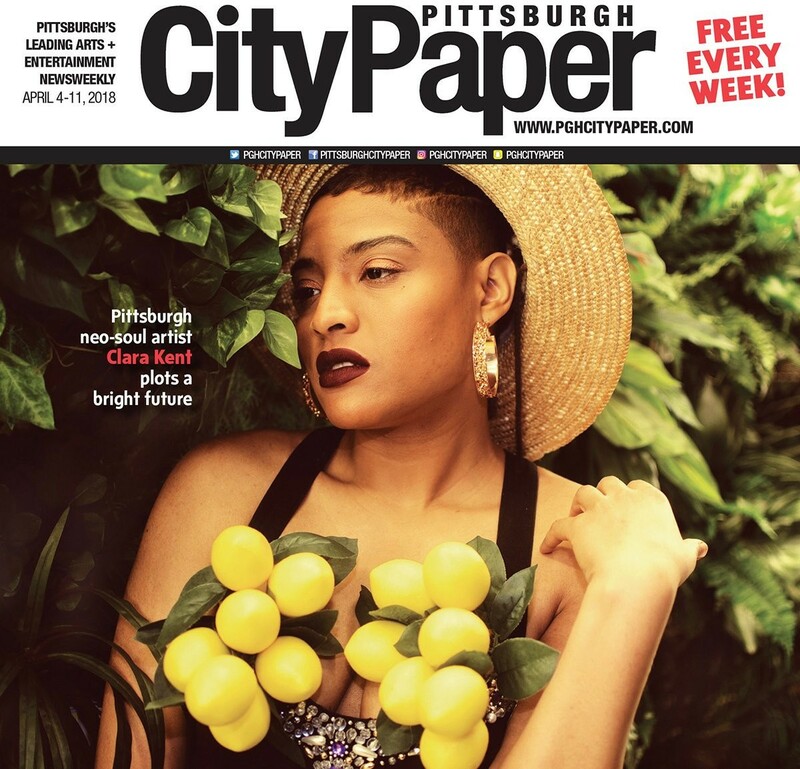 That beautiful cover photograph of Pittsburgh singer Clara Kent looks like it was taken in a gorgeous garden, right? Prepare to have your mind blown. Photographer Huny Young took the "Michaels' Challenge" for this cover photoshoot, putting Clara in a bustier and posing her in front of plastic greenery and lemon branches in the floral aisle at Michaels arts and craft store at North Hills Village. Every photograph Huny turned in was killer and each could have easily been Clara's next album cover. The best part of giving Huny this assignment? Finding out she and Clara became good friends after meeting for this shoot. They even continued to work together on more projects. Here's a behind-the-scenes shot from Clara's Instagram account where you can see more of the backdrop. One of the most popular Internet shares over the past few years has been "Distracted Boyfriend," a meme that just won't die. It features a stock photo of a man checking out another woman while holding hands with his disgusted girlfriend. Memes usually place text over each person, giving every image a new meaning. What better way to incorporate one of the best memes in recent history with one of the best weeks of the year? One of our favorite things about summer in Pittsburgh is when furries come to town for Anthrocon. The annual convention is beloved by locals who swarm Downtown to take selfies with the costumed animal characters. Brainstorming this cover was one of the best days at work this entire year, maybe ever. Former editor Rob Rossi, senior writer Ryan Deto, and I laughed for over an hour straight until we were all crying, throwing out ideas at each other for this illustration. We first played around with the idea of placing a Pittsburgh celebrity like Sally Wiggin in the picture with furries, yelling things out to each other like, "That doesn't make any sense!" And then, "But it's funny!" 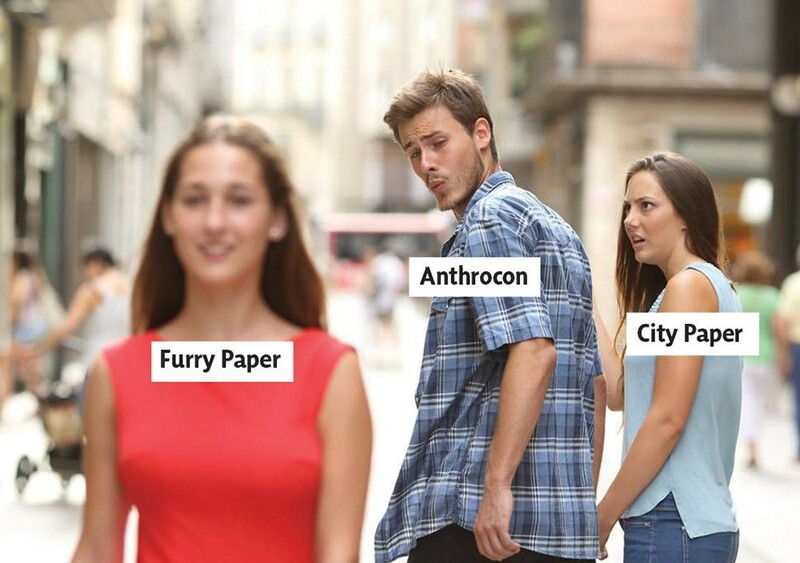 But in the end, we decided that showing a few of Pittsburgh's mascots falling for a furry attending Anthrocon was the best move. Fun fact: In Pat's initial sketch, the role of Sauerkraut Saul was originally filled by Kenny Kangaroo. 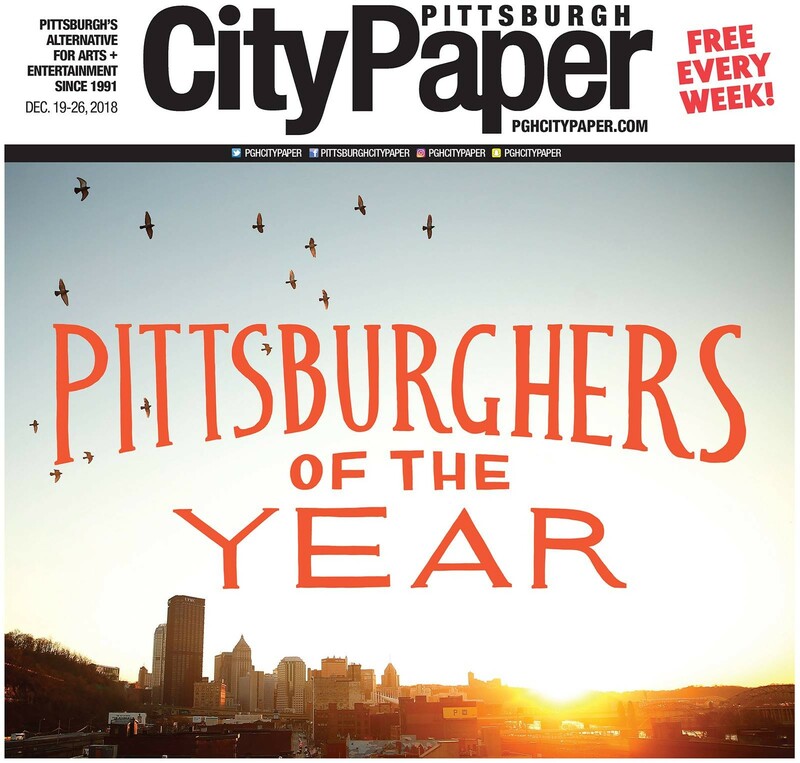 We decided to have even more fun with this cover by changing the name of our paper that week from Pittsburgh City Paper to Pittsburgh Furry Paper. 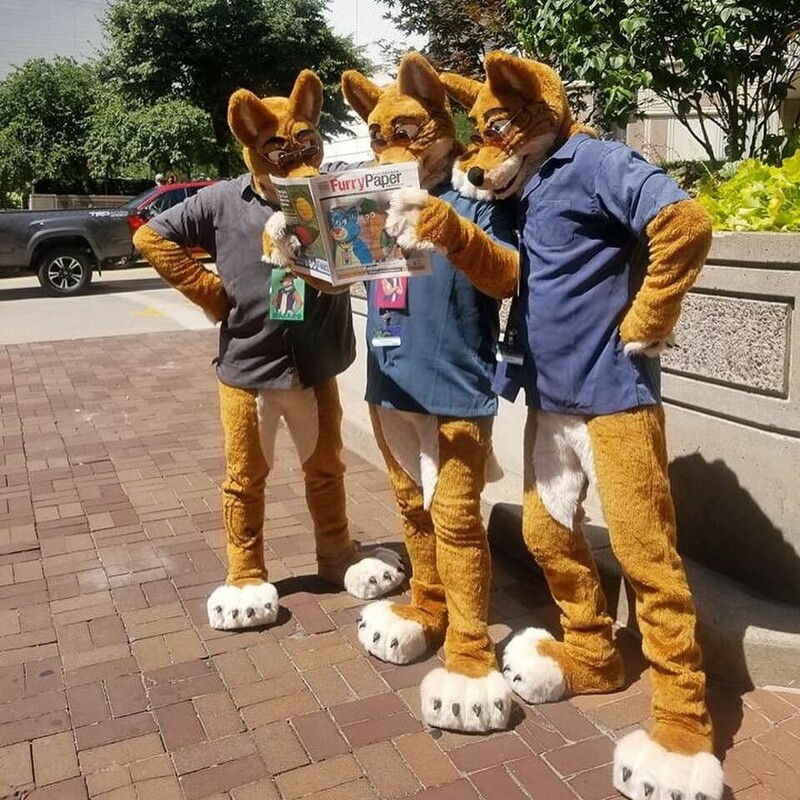 We absolutely loved seeing furries get a kick out of it on the streets while they were in town. Maya Puskaric brings on the tears. 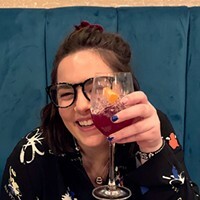 Staff nihilist, I mean staff writer, Hannah Lynn guest edited our College Issue this year, conceptualizing the theme and choosing which articles appeared in the issue. 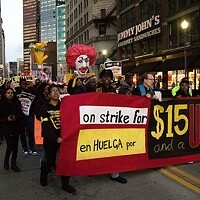 A recent college grad herself, Hannah was by far the best person on staff to take the lead on the issue. 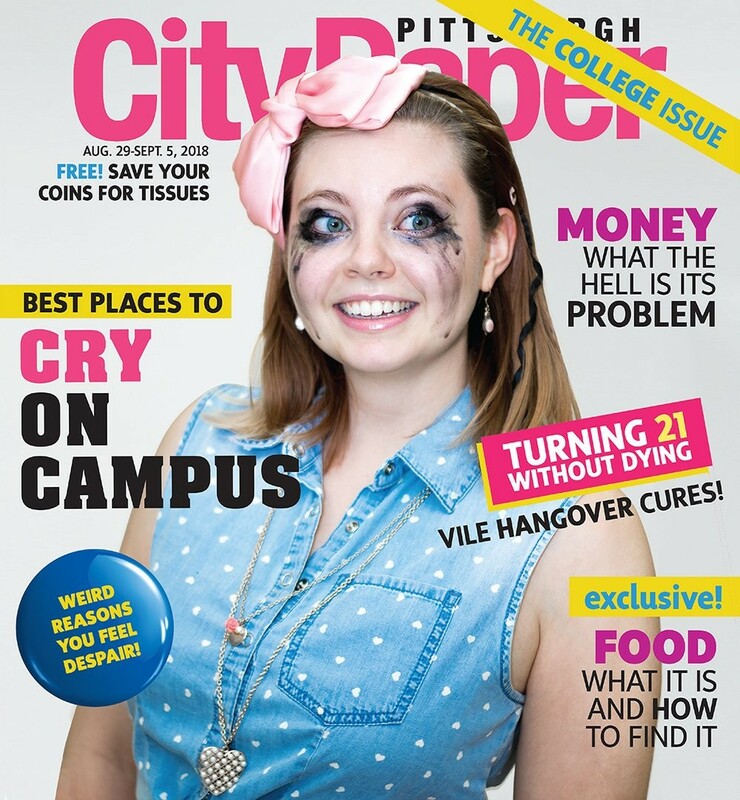 When she approached us with the nihilism theme, and suggested putting "Best Places to Cry on Campus" as the cover art, we were sold. 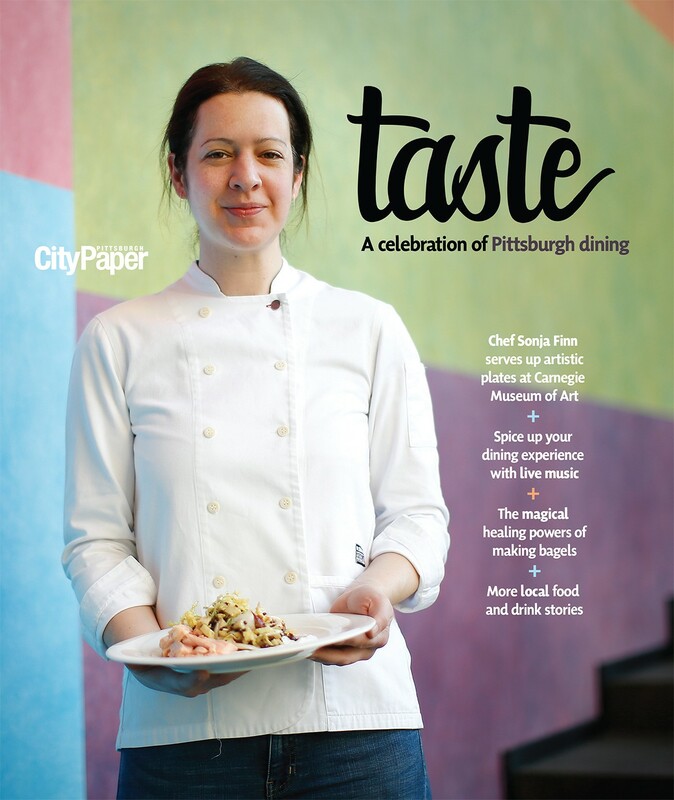 CP graphic designer Maya Puskaric, also a recent college grad, wasn't just the photographer for this cover. She also talked one of her friends into modeling and dressed her in clothes from her own closet. I added on headlines from Hannah's stories, pulling everything together to make it resemble a teen magazine. 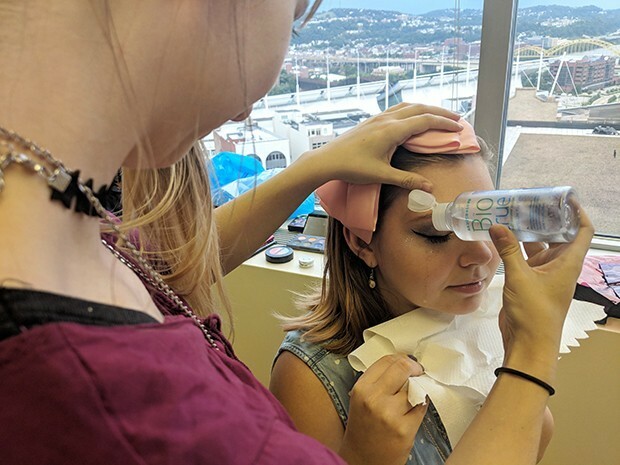 Read Maya's behind-the-scenes story to find out how she got that fantastic crying-while-dying-on-the-inside look. Film still: Image Ten, Inc. I admit it. I'm addicted to zombies. Add a zombie to a movie, and I'll watch it. Add a zombie to a book, and I'll read it. When CP senior writer Amanda Waltz pitched the idea of doing an oral history on the Night of the Living Dead's 50th anniversary, it was an easy decision to make zombies the theme of this year's Coloring Issue. 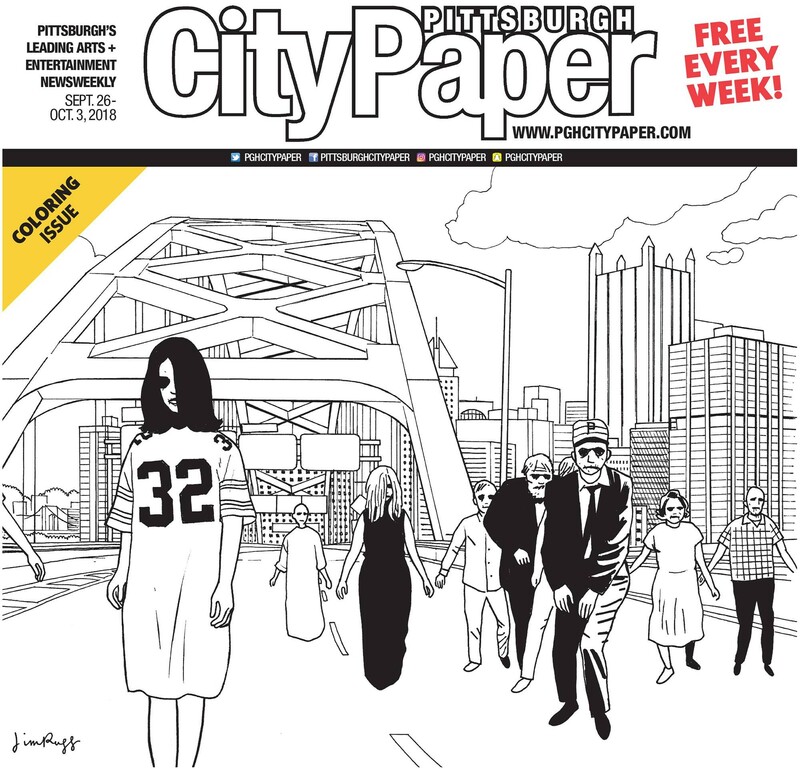 Add a zombie to a Pittsburgh City Paper cover? Boom! It makes my Top Covers of 2018 post. 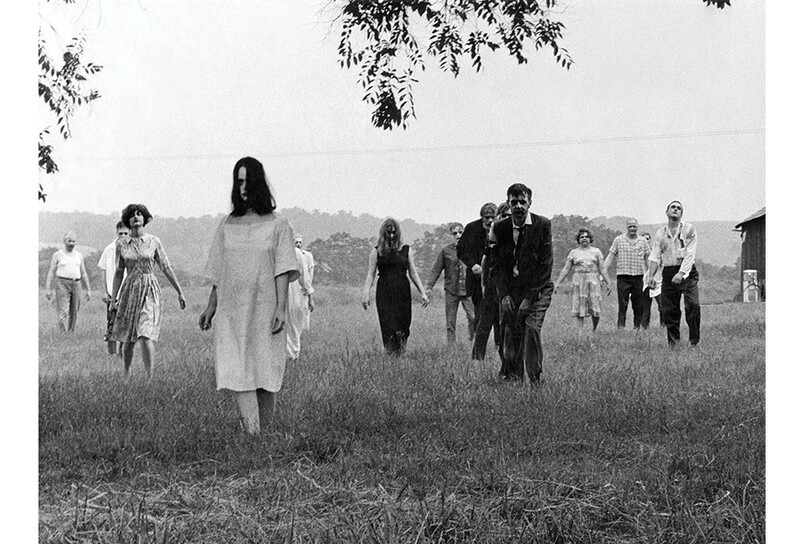 Night of the Living Dead was filmed in nearby Butler County. Jim Rugg took the iconic movie scene of zombies walking in the field and moved them to one of the best views in Pittsburgh, Downtown as seen when exiting the Fort Pitt Tunnel. Can you imagine coming out of the tunnel to this motley crew? 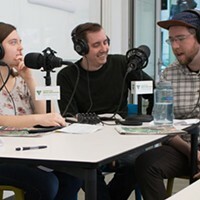 AAN, the association of alternative newsmedia, recently asked editors from around the country to share their best work of 2018. Our Election Issue was my selection, largely because of this cover image. Jared Wickerham joining our staff earlier this year as our full-time photographer and videographer was one of the highlights of our entire 2018, and he's proven himself time and time again as one of the most talented photographers not just in Pittsburgh, but anywhere. 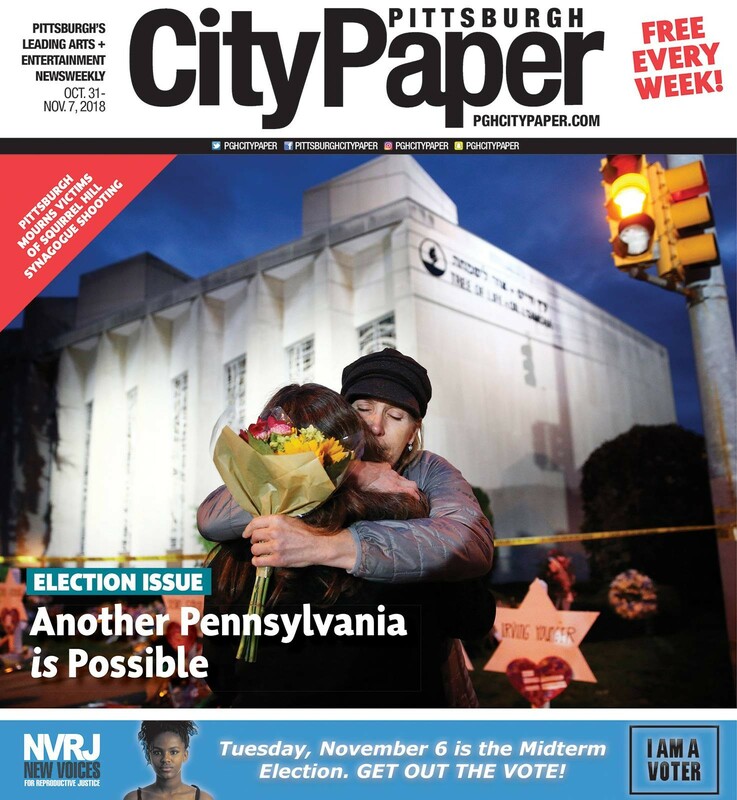 Several days before going to print on our Election Issue this October, tragedy struck our city: a mass shooting at Pittsburgh’s Tree of Life synagogue. The cover we initially had planned — an optimistic, hopeful smiling photo of Summer Lee, the first Black female state legislator from our region — suddenly no longer made sense while the city was in mourning. Jared was on the streets day and night covering the tragedy and provided the beautiful last-minute cover photograph of women embracing in front of the memorial outside the synagogue. A personal note: To say 2018 has been a hell of a year would be an understatement. I started this year as Art Director, was promoted to Managing Editor this spring, and finally, became Editor-in-Chief in October. 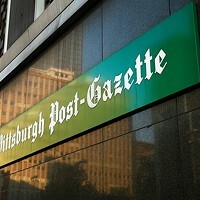 When I first started working for Pittsburgh City Paper back in 1997, I knew I found my home. So, you could say this ending has been a long time coming. You can read more about my transition in the letter I wrote our readers when I was promoted. But it was as Art Director for the past 13 years where I really fell in love with Pittsburgh, as I worked behind-the-scenes with so many amazing artists and photographers who taught me to look at the city through their eyes. After designing almost every cover and editorial story in the paper myself for all these years, it brought me great joy to finally hire an Editorial Designer a few weeks ago to help me with the paper's design. 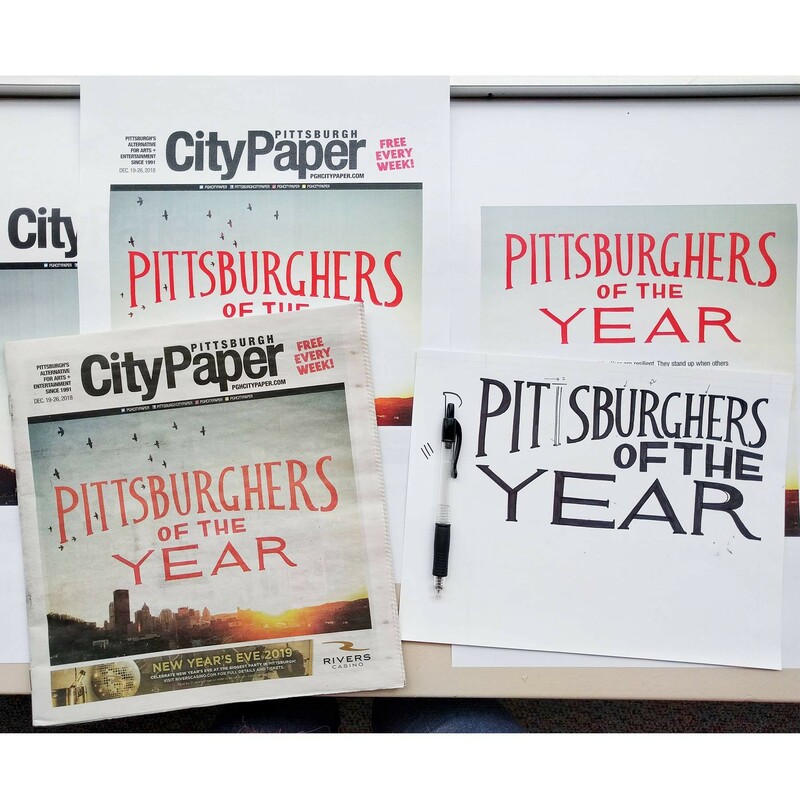 Abbie Adams, not just a great designer but a fantastic illustrator too, created this cover image her first week, hand-lettering the Pittsburghers of the Year title and designing it on top of a beautiful cover photograph Jared took of the city skyline. 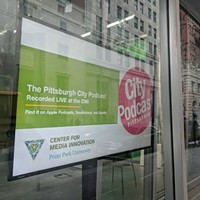 The absolute best part of working for City Paper is getting to share Pittsburgh's stories with our readers. 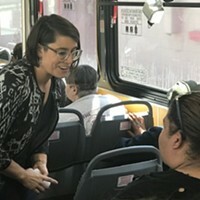 The second is getting to work with such an amazing staff. I'm ending this year better than the last and hope the same for all of you.